What will membership give you? You become part of SAFE, the organisation of energy personnel. You influence directly on your social working conditions and wages. You receive legal assistance relating to your employment, and access to a legal telephone service relating to private affairs. You receive a voluntary insurance through insurance company Gjensidige. SAFE organises various types of courses and conferences on a regular basis. SAFE membership magazine is sent automatically to your home address. You become a part of the union of energy personnel, where the members develop and lead the organisation. SAFE calls itself a «gras-roots organisation». The executive and working committees handle day-to-day operations, but it is the members who in the last resort decide the course through casting a ballot. This means that the members are the uppermost authority of the organisation. Next in line from the top is the Congress, which elects the organisation’s leadership, designates priority areas, and makes the necessary changes to SAFE’s laws and objectives. At the workplace, the local unions and employee representatives are responsible for looking after member interests. Employee representatives attend meetings, courses and seminars as and when required. It is our goal that all SAFE’s employee representatives should be highly trained and professionally updated, empowering them to meet the challenges of everyday life. We also wish our members to attend courses and seminars. An organisation of professionally updated and well-informed members is a strong organisation. You have a direct influence on your wages and working conditions. SAFE encourages the local unions, employee representatives, and members to organise meetings locally, in order to discuss wages and wage-related issues, and to submit proposals, thereby contributing to improving wage agreements. Collective wage conferences are held, where all local unions are represented. In addition to the wage-related part, members of the organisation become better acquainted with each other, and get an insight into potential wage-related issues within each wage area. This strengthens organisation solidarity and unity. Subject to recommendation by your local union, SAFE offers legal assistance in cases relating to employment and similar. Do you have any questions /problems in relation to your job? Please contact your local union for assistance. If required, SAFE’s lawyers will assist you in the matter, of course free of charge. SAFE has signed a co-operation agreement with law firm Vogt & Wiig AS on the processing of occupational injury cases for members. The firm’s personal injury department has a long experience in dealing with all kinds of personal injury cases. Please get in touch with SAFE’s lawyers for referral. You may also contact the firm directly, on telephone 22 31 32 00. Bergsjø or Vidhammer are your contacts in this firm. The assistance is basically free for members. SAFE has introduced a legal insurance system for the unions member for cases that conserns private matters. This insurance is among the best you will find in the market. Ask your local union for guidance if you are in need of legal assistance in private matters. SAFE emphasises that members wishing to avail themselves of these offers, MUST enter any agreement with the insurance company on an individual basis. The offers provided are very good and will be adapted to the life situation of the individual. We have always been of the opinion that voluntary arrangements are to the members’ benefit, and that this must be a matter between each person and the professional insurance company. 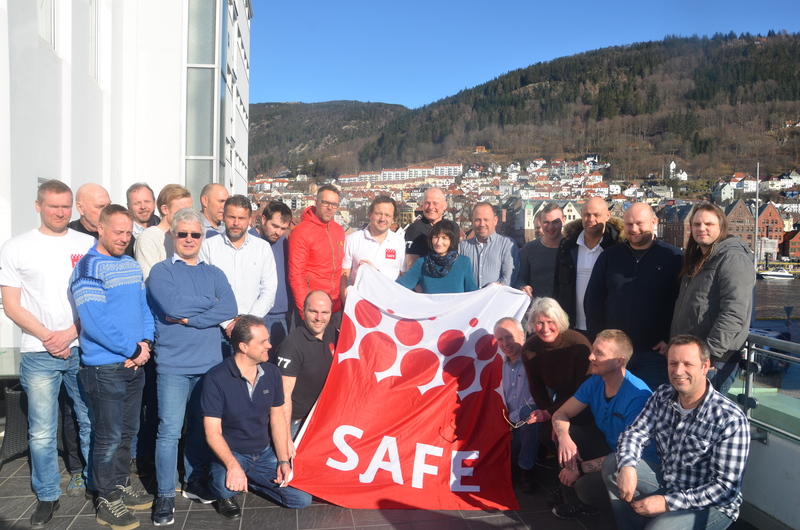 As a member of SAFE you have access to the bank and insurance schemes and other offers that have been obtained through negotiations between YS and Gjensidige. Read more about the member benefits on Gjensidige and YS Unique – separate account for YS members. SAFE basic insurance is a group insurance that is included in the membership fee. This is an insurance that covers the bereaved, in the event that an active member/member paying full membership fee, were to pass away. Family members would then be paid an amount equal to 1G. If you default on your membership by omitting to pay the membership fee, the bereaved might lose this right. Active membership is effective from the day you enrol as a member until the day you resign as a member. In order to be an active member you must pay the trade union membership fee monthly, unless you have informed SAFE otherwise. If you are working part time, and are paying a reduced (1/2) fee to your local union, you will also pay a reduced fee to SAFE. Circumstances as mentioned under Section 14.6 may also entitle a reduced membership fee. The SAFE membership is set by the congress /annual convention. If you change employer, you must notify SAFE and your local union that the membership is to be transferred. This will allow us to carry out the procedures necessary to continue your membership. a) retirement, b) disability c) rehabilitation d) associate membership. You then pay NOK 300 annually in membership fee. In the event that you are reported sick, the National Insurance Office (Trygdekontoret) will ensure that the deduction is maintained. Employers report this to the National Insurance Office when they submit data on income and tax deductions. Members should individually remind their employer to report this.